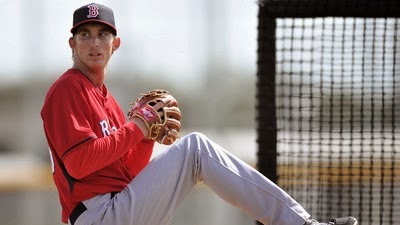 If Red Sox fans needed any more reasons to get excited about Henry Owens, look no further than him being named Eastern League Pitcher of the Year for the AA Portland Sea Dogs. He had a 14-4 record with a 2.60 ERA in Portland and was promoted to AAA Pawtucket on August 1st. He also led the league in wins, strikeouts (126), complete games (3), shutouts (2), and batting average against (.201), according to NESN. Right now, Owens has a 2-1 record with a 3.66 ERA in 5 games with Pawtucket. With September call-ups looming, it's quite possible we see Owens at the big league level before the end of the season with the way he's been pitching. Since the Red Sox are out of contention, I think it's very likely the Sox use this as a 1st audition for Owens to see what he's got. We'll see on Monday who they do call up, but with the Sox out of contention, they'll want to get a good glimpse at what they have going into 2015 and beyond, and I think that includes calling Owens up for a cup of coffee. Brian Johnson (10-2, 1.75 ERA), also from Portland, finished 2nd in the voting.